For the Belo Medical Group managing director, breastfeeding is an awesome thing. Cristalle Belo says her son Hunter James’ healthy body is due to breastmilk alone. Baby Hunter was born prematurely. “9kg vs 2.3kg. Hunter reached that 6-month mark two days ago but technically he’s only supposed to be 4.5 months. Everyone asks, what vitamins he’s on. The answer is NONE. It’s pure breastmilk 🍼(ok let me give a little credit to @justinpitt77’s genes too!) 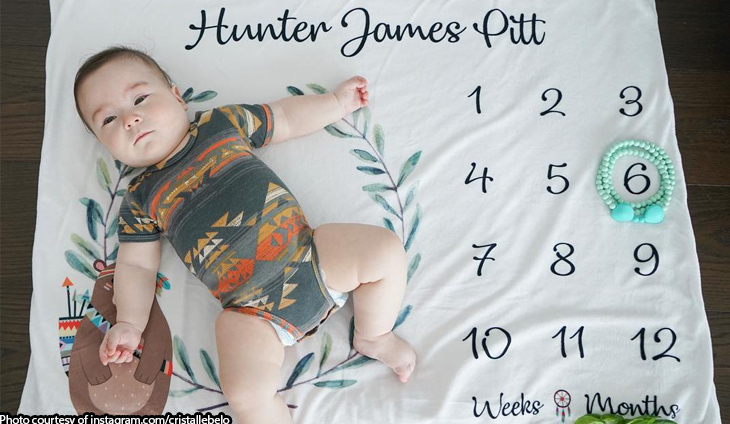 #HunterJamesPitt. blankie from @littlek.ph and outfit from @bairnsclothing ❤” said @cristallebelo. He is growing so fast, Cristalle! Our fave chic millenial is mighty proud of her younger brother. The CEO of Ever Bilena is one proud kumpare!